Here we have 2 rolls of 6mm x 5mtr clear double sided tape. This tape is perfect for card making and scrapbooking. This tape is acid free, Clear and very strong. 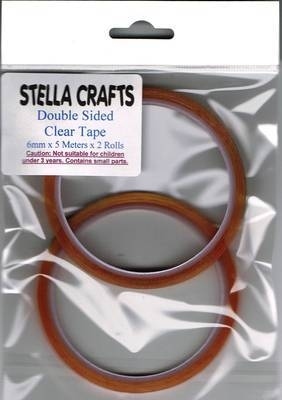 Can be used with many other craft projects and around the home, office and workshop.